InternetNZ (Internet New Zealand Inc) is pleased to announce that former US Federal Trade Commissioner Pamela Jones Harbour will deliver the International Keynote on the first day of the NetHui 2012 conference at SkyCity in Auckland from 11-13 July. Ms Harbour is recognised internationally for her leadership in the emerging field of privacy and data security. She was the 2010 recipient of the Electronic Privacy Information Center’s (EPIC’s) “Champion of Freedom Award” for her defense of consumer privacy as a Federal Trade Commissioner. InternetNZ Chief Executive Vikram Kumar says, “New Zealanders are increasingly using international online services. These provide people, professionals, and businesses with many benefits and access to the best the world has to offer. At the same time, when things go wrong, it can be hard and complex to sort things out”. Ms Harbour will be introduced by New Zealand’s Privacy Commissioner Marie Shroff, who sits on the Advisory Board for NetHui 2012. During her seven years as a Federal Trade Commissioner, Pamela Jones Harbour was instrumental in shaping an ambitious agenda that encompassed a wide variety of competition and consumer protection issues affecting virtually every economic sector. As a key member of the U.S. delegation to the Asia Pacific Economic Cooperation (APEC) summits, she was directly involved in representing U.S interests during negotiation and future implementation of a global privacy framework related to cross-border data transfers. 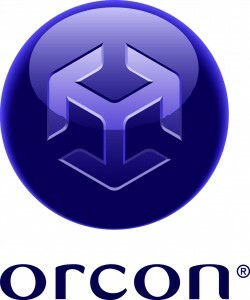 In 2011, Ms Harbour was appointed as Co-Chair of the Legal Working Group of the Cloud Security Alliance (CSA) – a non-profit organization led by a broad coalition of industry practitioners, corporations, and associations, whose mission is to promote the use of best practices for providing security assurance with cloud computing. InternetNZ (Internet New Zealand Inc) is the non-profit, open membership organisation dedicated to protecting and promoting the Internet in New Zealand and fostering a coordinated, cooperative approach to its ongoing development.